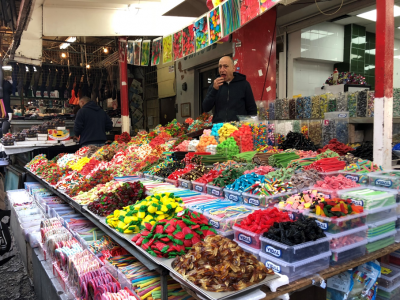 Our final day in Tel Aviv was bittersweet, as we knew our incredible journey was coming to an end. We started the day meeting at YL Ventures, a venture capital (VC) firm like many in Israel that focused on early-stage investing. I was astounded that while the US was trending towards less early/seed-stage capital and much more later-stage investments, Israel seemed to embrace their unique VC ecosystem. YL’s Head of Intelligence, Yuval Mond, said it best as I spoke with him walking out of their office. “Because startup companies in Israel focus mostly on the foreign market,” he told me, there must be a system set up that caters to helping these startups get through the countless foreign market hurdles. 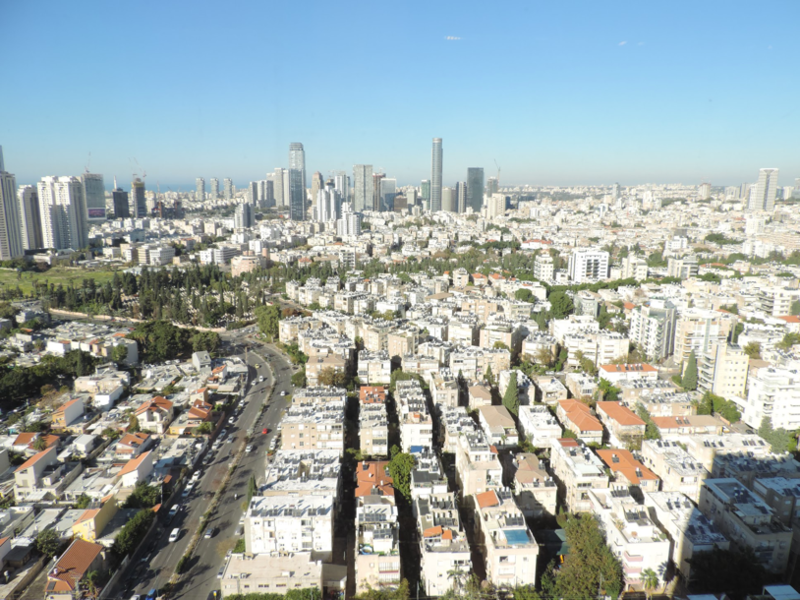 This allows for a collaborative environment in Israel where companies have to begin bringing their company to the foreign market very early on, where US-based startups have the luxury of often first focusing on their domestic market. 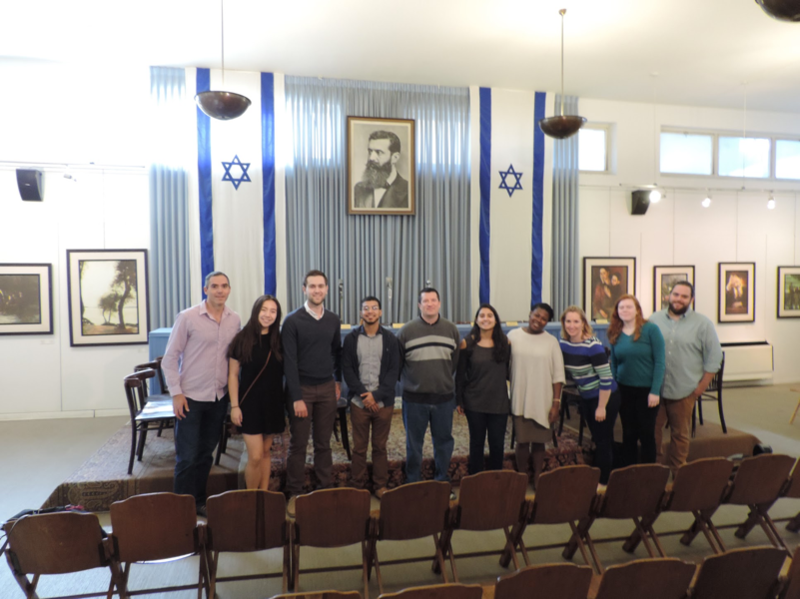 Following our meeting with the intelligent people at YL, our group walked to briefly visit Independence Hall, which was the location of the signing of Israel’s Declaration of Independence in 1948. As excited as we were to see this important place, our worn-out group was nearly as excited when we saw the Aroma Coffee shop at the corner of the street. Instead of refueling on caffeine at Aroma, we saw our trusty driver pull up across the street, and had to quickly head to our next location. Our group next visited the Old Jaffa market and port. 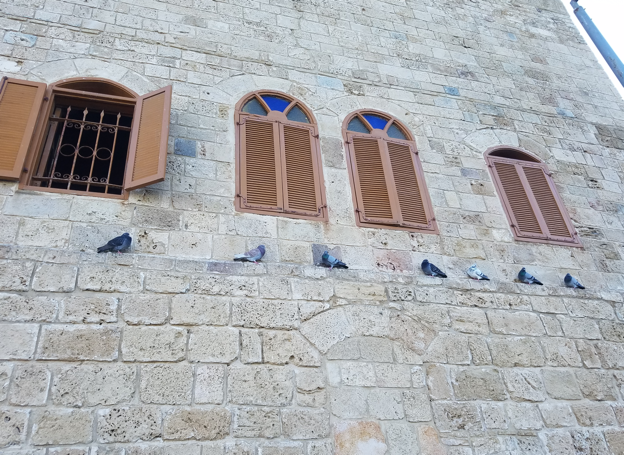 While some split off and went shopping, many of the students walked around and enjoyed the beautiful views of Tel Aviv, dodging numerous “gifts” from the welcoming pigeons on our way to one of the oldest known ports in the world. 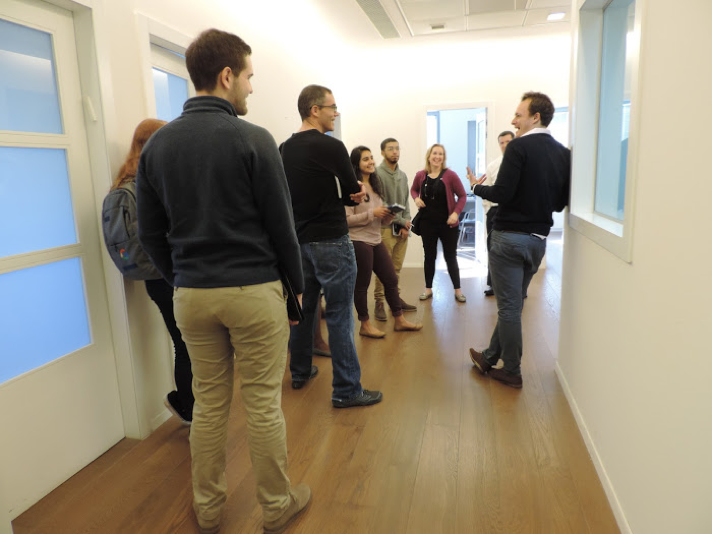 Following the walk, we visited Phoenix Insurance Company, the 3rd largest insurance company in Israel, to check out their investment department and recent InsurTech initiatives. While meeting with many of their c-level executives, our group hopes to establish partnerships and apply what we learned to rebuild the city of Hartford. Our final meeting in Israel brought us to The Junction, which is an accelerator program that had launched over 125 companies. We experienced the entrepreneurial spirit first-hand when we celebrated with a team who just finished raising $3M in seed money for their startup. You could feel the excitement and promise in the air from those working at the startup, and I realized that this feeling is often what helps drive some of the world’s most innovative people. At our final dinner in Israel, we all reflected on everything we learned and saw while in Israel. Many of us had realized that Israel is not the country you hear about in the news. It is a country full of innovation and of people extremely prideful of their nation, of chutzpah and falafel. It is astounding that one of the most important areas in biblical times now serves an equally important role in the global innovation economy today. I can say for myself that I was very moved by what I learned on the trip. It is an experience that I will remember for a long time. I was sad to leave such a beautiful country, but knew it wouldn’t be the last time I’d be in Israel. 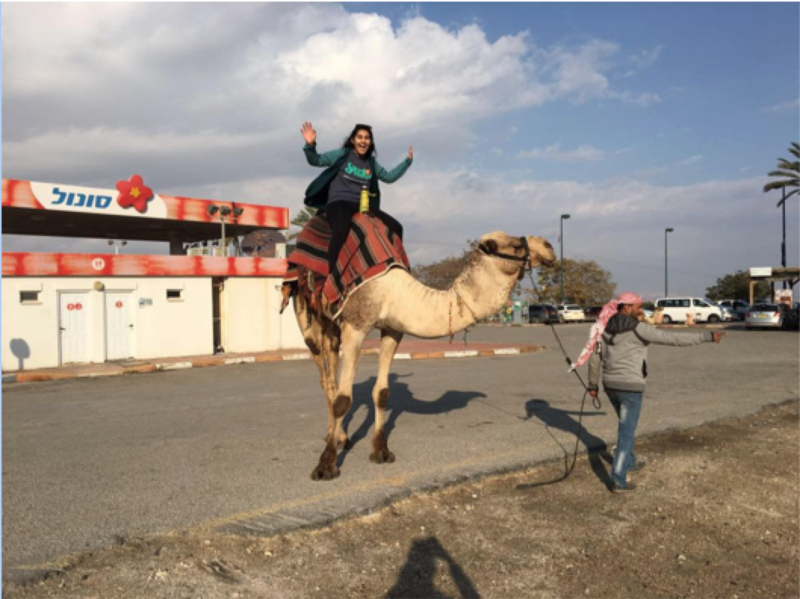 “Israel is your second home,” our tour guide had said, and boy did I feel at home there. Nicholas Wehrle: I am a 5th semester student double-majoring in economics and psychological sciences, with a minor in business. I am passionate about the “business behind innovation”—the space where entrepreneurs and investors collaborate to grow an idea into a successful company. This past summer I interned in Life Science & Healthcare Venture Banking at Silicon Valley Bank. I am an avid reader of The Economist, and enjoy playing rugby at UConn. Today was our second to last day of this trip. Heading out the hotel door at 8:30, we went to our first destination for the day, Caesarea. This is an ancient Roman and Byzantine city that was designed and created by Harrod. In it’s heyday, Caesarea was a majestic city by the sea with massive ports to allow for exchange of goods. While walking around the ruins, it was crazy to imagine what the city looked like at its peak. Our tour guide Yoram told us to take a seat at this one section of the ruins and most of us obliged just to find out that we were sitting in the ruins of the old bathrooms of the amphitheaters built in the city. 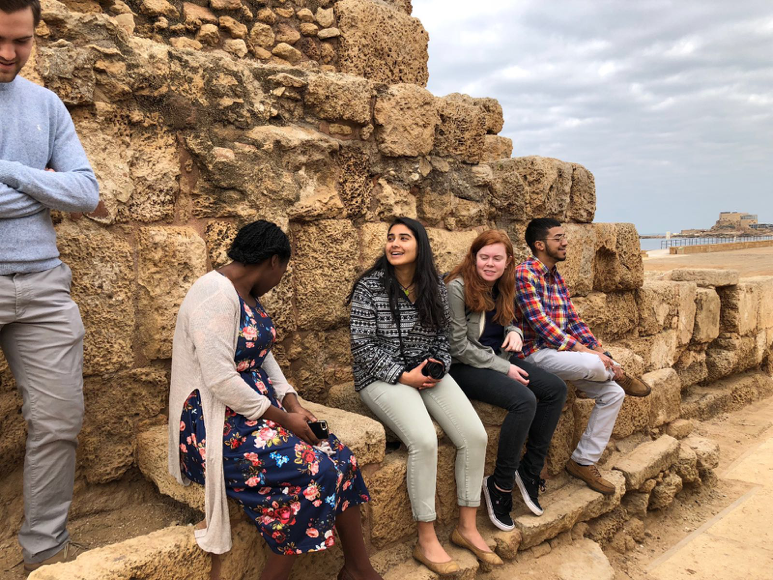 We also had the opportunity to watch a short historical clip on the past, present, and future of Caesarea. We visited the ruins of an aqueduct that was used to bring water from the Mediterranean into the city. The city was an excellent example of how innovative and cutting edge technology of the time helped society flourish. On our way back to the bus, we encountered an entrepreneur who tried to sell us pieces from his extensive scarf and fur coat collection. The Roman theatre that Harrod designed for large performances. The group sitting on unexpected toilets. 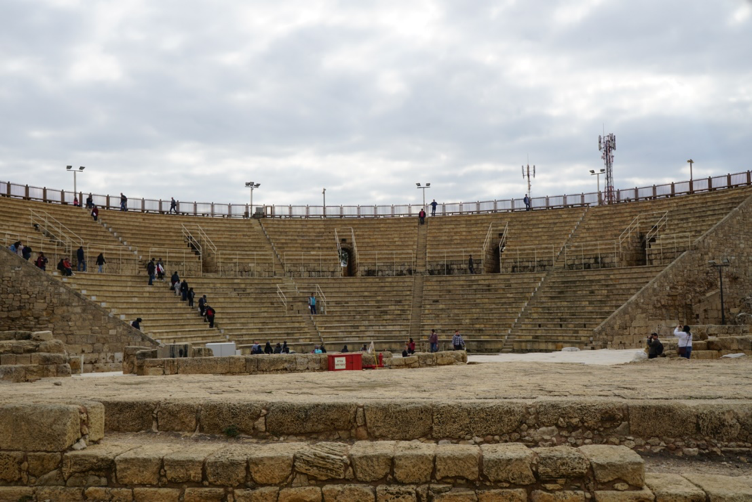 After our visit to Caesarea, we hopped back on the bus for a relaxing ride along the shoreline to Haifa, the third largest city by population in Israel. 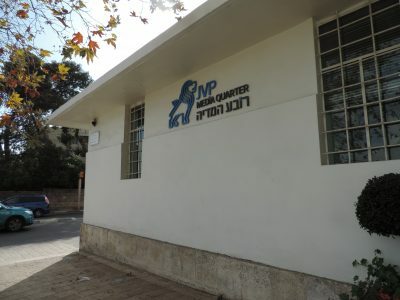 Haifa is known as a technology hub, with companies such as Phillips and Microsoft having offices there. We drove up the steep roads until we reached the Ba’hai Garden, an area preserved by the people who practice the religion Ba’hai. We looked down onto the gardens from above and learned about the importance of symmetry and of the numbers 9 and 19. 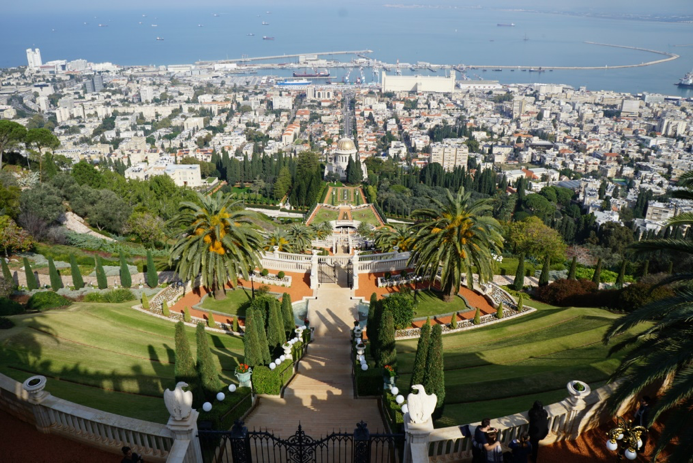 They built these garden up on top of a hill and it is rumored that the hill underneath is actually a bomb shelter that the Ba’hai intend to use if the city of Haifa comes under attack. The city of Haifa as a whole is a very innovate city. It is known as a port city to the state of Israel, as it brings in imports that will later be distributed to the rest of the country. Unfortunately, Haifa is also experiencing increased pollution due to many chemical companies creating plants there. The group at the beach near the aqueduct. We picked up special shells and skipped stones. The view from the top of the Ba-hai Gardens. Heading out of the city, we stopped at a rest area to check out the acclaimed Aroma, an Israeli coffee shop renowned for their iced coffee. 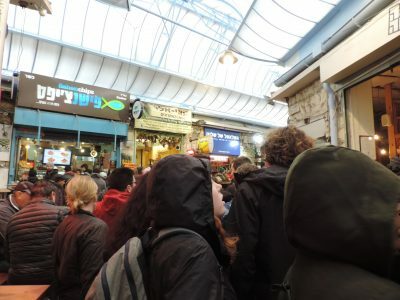 There also ended being a McDonald’s at the same stop, and a few students decided to grab lunch there to compare and contrast an Israeli McDonald’s to that of an American one (also they just wanted a burger with cheese on it, which usually isn’t allowed because of the typical kosher diet). Full from lunch, we headed to RAFAEL, the primary missile defense company for Israel. This was a particularly special meeting because we all needed background checks and security clearance, completed in advance, to enter the facility. We learned about the dangers that Israel faced as a nation due to its precarious position in the Middle East. As Yoram likes to say, “Israel’s best neighbor is the Mediterranean Sea”. We also learned more about the Iron Dome, a system that RAFAEL helped put into place to help detect missiles that are targeted toward the country. Learning about the company shed some light on the technology and innovation that Israel brings to the global marketplace. For one, the company has been very innovative in designing its missiles. In building one of their rockets, they ended up using the connectors from the Buzz Lightyear and Woody toys from Toy Story to help bring the cost down $4,000, without sacrificing the effectiveness of the missile. RAFAEL is also very collaborative with related companies in the United States such as Lockheed Martin and Boeing by partnering with them to bring technology to the US military. This global partnership and collaboration helps them become a leader in the field. The success of this company and the innovation of their technology is very much driven by their desire to make Israel the best it can be, a foundation that has also helped it become a “start-up” nation. Barrels of wine at Jezrell Winery. Everyone trying the different Jezreel wines. Our busy day concluded with a visit to a local winery called Jezreel, which specializes in producing Israeli wine. 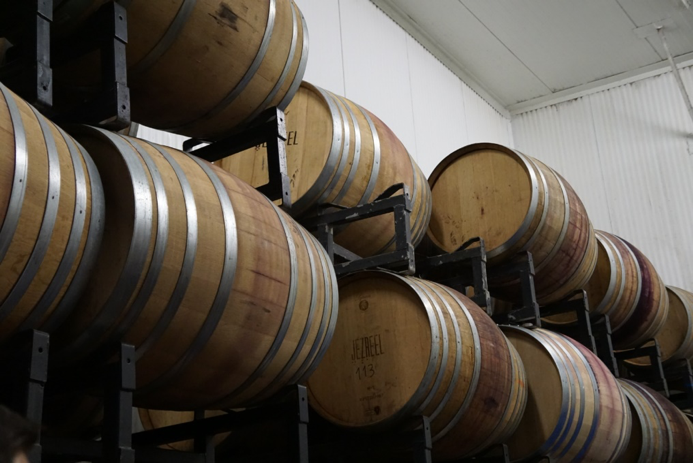 The winery is very young, founded in 2012. It arose due to the founder’s need for wine that fits the Israeli people’s cuisine, climate, and personality. Like many other Israeli companies, this one found a niche in society and capitalized on it. 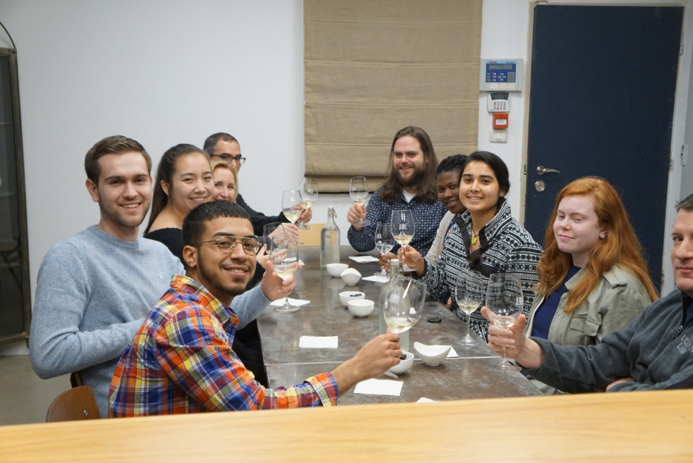 We had the opportunity to learn about the wine making process and ended our tour there with a wine tasting. We had an extremely busy and productive day. 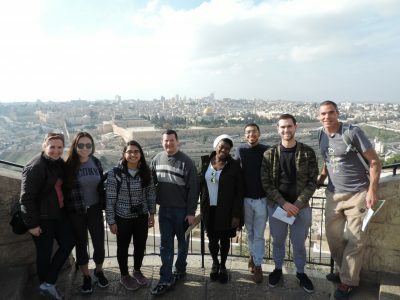 From visiting traditional tourist locations such as Caesarea and the Ba’hai gardens to visiting RAFAEL, a place that most Israelis will never visit in their lifetimes, and a start-up Israeli vineyard, we learned more about Israeli culture and the entrepreneurial spirit that has helped them become such a successful nation in less than 75 years. 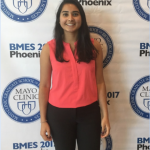 Amisha Dave: I am a senior biomedical engineering major in the Honors Program and plan on attending medical school next year. 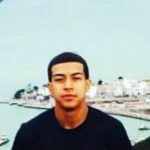 I am pursing minors in computer science, information technology, and bioinfomatics and through taking classes for minors, I have found myself getting more and more interested in both healthcare technology and startups. In addition, I have been looking study abroad for the last three years and found this to be the perfect opportunity to visit a unique country that integrates many of my interests. I can’t wait to exploring both the historical and entrepreneurial culture of Israel and start off 2018 there! As our sixth full day in Israel comes to a close, I find myself already reflecting on the trip two days before we fly home. Being here has opened my eyes up to not only the differences between the United States and Israel, but the similarities we share as well. We started off this morning with the Palestinian Internship Program (PIP). This is a nonprofit that is dedicated to providing young Palestinian professionals with high-level internships at leading companies with the aim of PIP graduates using their experience to contribute to the development of Palestinian technology and innovation. 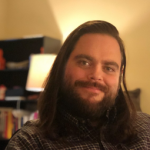 We spoke with program director Jesse Divon, as well as his successor Anna Gol, about the goals of PIP. This was particularly interesting for me, because as the trip has gone on, I have begun to focus my research on whether business ties have the power to ease tensions in the Palestinian-Israeli conflict. For some, this has been seen as an optimistic dream, but with this program I see the possibility in it becoming a reality. It makes me proud to know that the US is funding this initiative, bringing innovation and technology into Palestine. 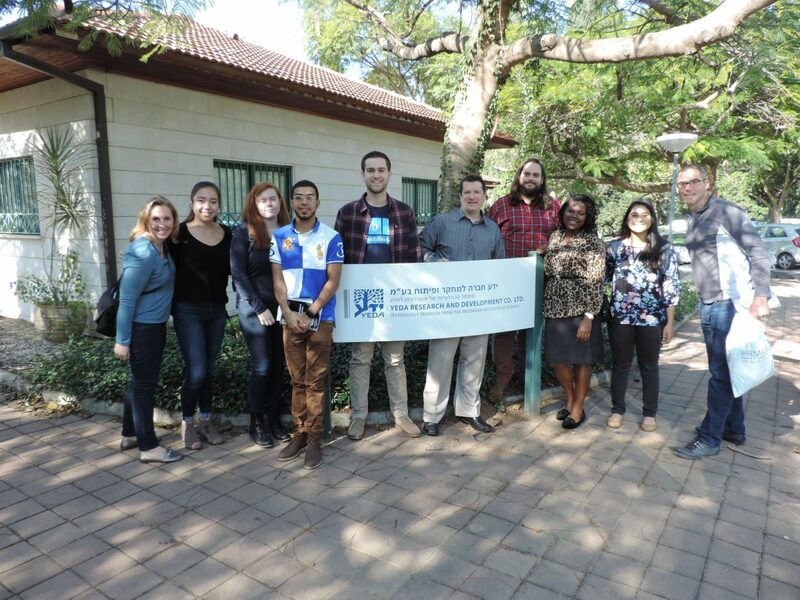 After PIP, we traveled to IDC Herzliya, a nonprofit private research college located approximately forty minutes outside of Tel Aviv. 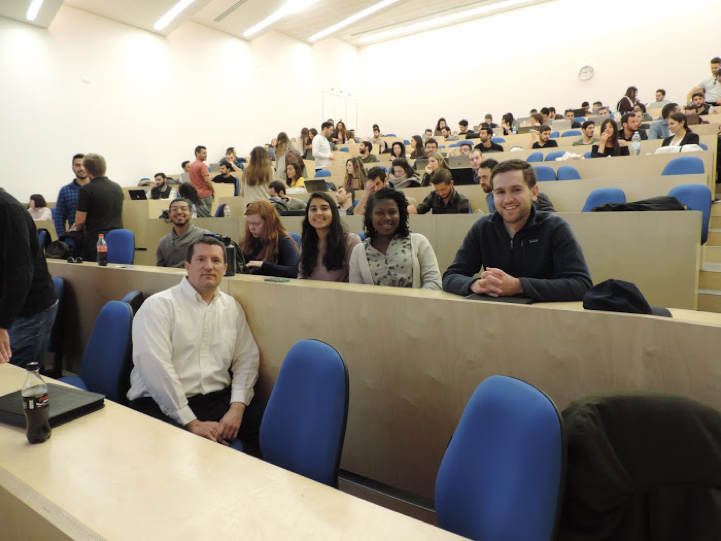 There we met up with Professor Levi Shapiro, whose class we would be attending. After we ate lunch in the outdoor student cafeteria, Shapiro met us at the Adelson School of Entrepreneurship. We were each given the opportunity to meet with a group of ten students to learn more about them and their final projects in the class, where they had to create a Wikipedia page for an entrepreneur who didn’t have one. Not only was it interesting to hear about their personal interests in entrepreneurship, but being able to have a conversation with people close to my age from a different culture. As I have been reminded many times on this trip, our two worlds are not so different, as we shared common thoughts about education, music, and more. I even had one person in my group who was familiar with Connecticut and where I was born in Chicago as well. 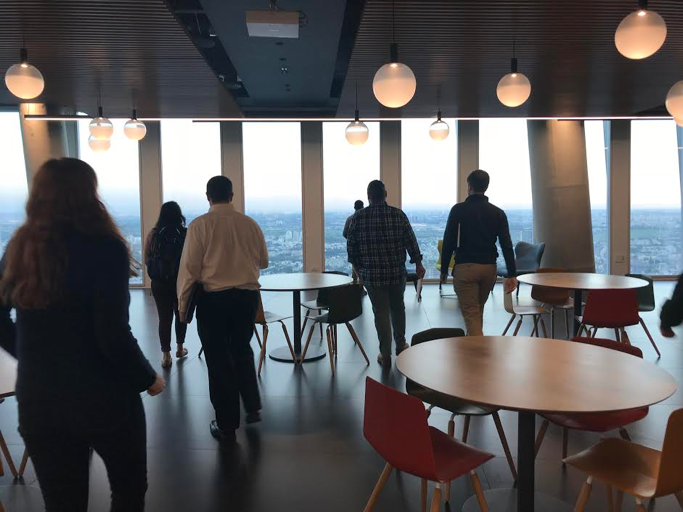 Finally, we ended the day at the Pearl Cohen law firm in the Azrieli Sarona Tower, the tallest building in Tel Aviv. Arriving at the top floor, we were welcomed by the warm sunset overlooking the city and the Mediterranean. There we met with partner Joel Stein and senior partner Anna Moshe. They spoke with us on the about the importance of understanding the process of creating a start-up instead of just knowing in stages. 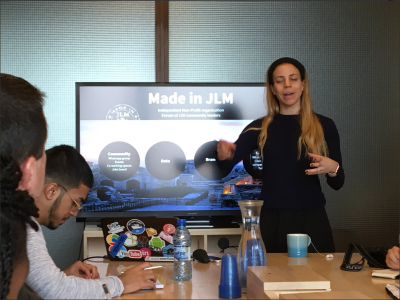 It was interesting to get a lawyer’s perspective of a successful start-up, as well as listen to their thoughts of why Israel is a “Start-Up Nation”. This trip has been truly eye opening to the entrepreneurial ecosystem in Israel, as well as the ties between the two nations that have been here all along. I look forward to continue learning about entrepreneurship not only throughout the rest of the trip, but back in the United States. I will never forget the experiences I have had and the things I have learned here in Israel, and I am excited to bring these experiences back home with me. Mia Jensen: I am a sophomore majoring in Political Science with a minor in ASL/English Interpreting. I am participating in this trip because I have a passion for learning, and am fascinated by the rapid growth of Israel. I am looking forward to discovering how the political climate between Israel and the United States affect business relations, and in turn, if business relations have an effect on the political climate. And on the fifth day there was light! 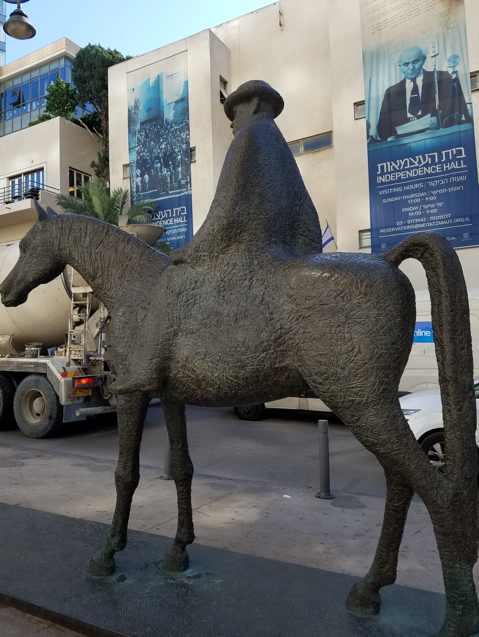 Up until this point in our trip, our understanding of what makes Israel’s startup culture unique was almost entirely secondhand. That all changed today with our visits to a couple of successful Israeli “startups,” and to an organization that is committed to building stronger business ties between Israeli and the US. The day kicked off with our tour guide’s daily download on what President Trump said while we were sleeping. One theme that has emerged during our trip is the strength of the relationship between the US and Israel – both politically and economically. Our guide’s interest in President Trump’s tweets and US policy is not a recent phenomenon, but rather reflects a bond that started in 1948, when, under President Truman, the US became the first country to recognize the Jewish State. President Trump’s decision to see the Jerusalem Embassy Act of 1995 through has undoubtedly made US-Israel policy a hot topic of conversation, but it has also been a decision that has strengthened US-Israeli ties. 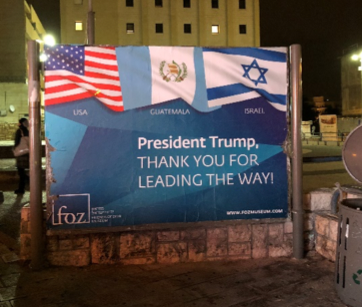 Based on an admittedly limited sample of daily conversations with local Israelis, President Trump’s decision is not as controversial as it seemed in the US. 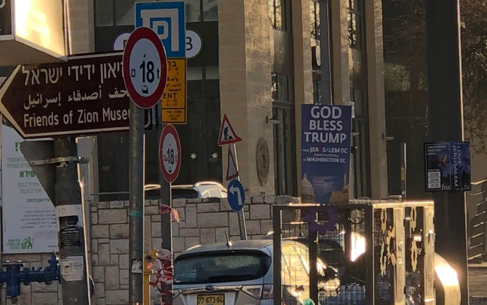 Interestingly, many of the Israelis that describe President Trump as mashugana (crazy), also tend to respect his chutzpah (boldness) – a trait that Israelis embrace in themselves and one which is often cited as a distinguishing characteristic of Israeli startup culture. Our first meeting of the day was with the US-Israel Binational Industrial Research and Development Foundation (BIRD). Approximately 40 years ago, the US and Israeli governments established an endowment for the Foundation with the stated mission to encourage cooperation between Israeli and American companies by providing funding and assistance in facilitating strategic partnerships for developing joint products or technologies. The idea was to focus on technology that benefits humanity, not on profitability. Because of this, BIRD typically attracts startups in the life sciences or environmental sectors, or projects with longer lifecycles that tend to be less popular with VCs. Similar to the risk-free grants offered to Israeli startups by the Israeli government, if the venture fails, BIRD does not require repayment. It also does not receive equity or IP rights. Since 1977, BIRD has invested in over 1,000 projects, which have yielded direct and indirect revenues of over $10 billion. Over the years, two more endowments have been established – BIRD Energy and Home Land Security/First Responders – reaffirming and promoting the strength of the ties between the US and Israel through entrepreneurial collaboration. 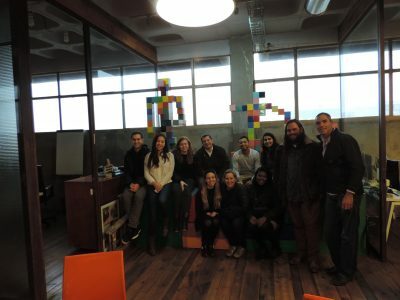 After a quick stop for lunch in Tel Aviv’s Carmel Market, we travelled to the modern planned city of Modi’in to visit BriefCam, where we met with the company’s CTO and Regional Sales Manager. 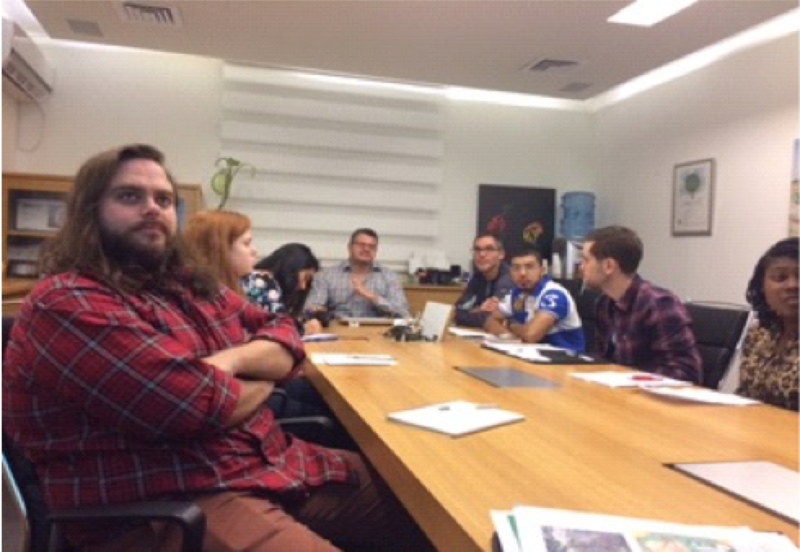 We first heard about BriefCam during our visit to Yissum, Hebrew University’s tech transfer office, on the first day of our trip. In the mid-2000s, Professor Peleg had the idea to develop an AI-driven technology that would make sifting through video as easy as running a search on Google. After having the U.S Department of Defense observe early prototypes – once again highlighting the strong bond between the US and Israel, this time in the university tech transfer context – the engine behind concept, Video Synopsis® began to be more seriously developed, and the company opened a US branch in 2010. The ability to analyze hours of CCTV footage in minutes, or the ability to allow users to search surveillance cameras for, say, every person wearing a red T-shirt or every person walking a particular path, can prove to be an invaluable tool in police investigations. For example, in 2013, the technology was successfully used in the Boston Marathon Bombing investigation to help identify the Tsarnaev brothers. Hartford is another city that utilizes the technology. Tom Edlund, BriefCam’s CTO, credited Hartford with using the technology in innovative ways that has helped drive the development of the technology. Hartford takes a holistic view of safe city security and uses the technology in ways that promote the local economy by decreasing local crime. For instance, Hartford uses the technology to identify drug dealers to make the streets safer for pedestrians, and it uses it during Yard Goats games to make sure that the areas around the stadium remain safe. BriefCam offers a very impressive solution that cities like Hartford is helping to refine and improve. BriefCam is currently working to grow its sales force and target a variety of other industries from retail to urban planning. A member of Kibbutz Magal describing a drip irrigation solution Netafim developed for UNESCO. The final stop of the day was at Netafim, located on Kibbutz Magal. 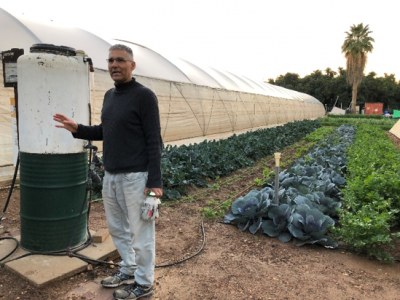 Netafim started as a drip irrigation system that was intended to address the local challenges of growing agriculture in a desert with a limited water supply, into a full agriculture solution that touches all aspects of the growing cycle. Netafim is beyond the startup phase and is now a global business that enjoyed over $1 billion in revenue last year. Our tour of the company included a tour of the facilities and the history of the kibbutz’s communist roots and shared communal ideology, which underwent some changes when the community democratically voted to change the ownership model in 2004 in response to the company’s success. 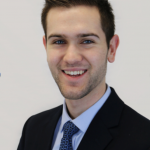 Jonathan Hague: I am currently a second-year law student at UConn Law School. I am interested in International Business Law. I enjoy traveling and experiencing new cultures. This is the start of our fourth full day in Israel. The pace is intense. By observing the culture of Jerusalem, the West Wall, and the Dead Sea we are starting to understand the nation and its people. The reoccurring sight of armed police and soldiers started to get routine until we went to the border with Jordan yesterday and witnessed the live mine fields which brought the reality of past despair, suffering, and a feeling of isolation knowing that there were three more borders (Lebanon, Syria, and Egypt) not including the chaos in the Gaza Strip and to a lesser extent the West Bank. The isolation of Israel I equate to the battle of David versus Goliath as little Israel is simply disliked (because of religion) and outnumbered by its numerous neighbors. Well, yesterday we made the trip from Jerusalem to Tel Aviv and today we have power-packed meetings with the Weizmann Institute and their tech transfer office, Yeda Research and Development Co., Ltd. The Weizmann Institute of Science was formed 14 years before the State of Israel came into existence. The Institute is a research facility for biology, biological chemistry, chemistry, physics, mathematics and computer science. There are over 175 staff scientists and students. The founder of the Institute, Dr. Chaim Weizmann, wanted a comfortable American/European style campus where faculty research scientists lived alongside their students to maximize the exchange of ideas and innovation. It is in pursuit of that objective that students attend on full scholarship, live on campus, and receive a small stipend. The mission of the Institute is “curiosity leads Institute scientists to broaden human knowledge, to make new discoveries – for the benefit of humanity.” Scientists are required, first and foremost, to follow their own curiosity. The Institute receives over $100M in grants each year (45% from Europe, 40% from Israel, 10% from U.S., and remaining from others). While the scientists are encouraged to conduct research for research sake, the Institute recognized that their inventions needed to get to market. To accomplish that purpose they soon created the Yeda, the first technology transfer company, to capture and protect the inventions discovered by the Institute and to then find businesses that could market or make use of its technology. Income from licensing goes back into the Institute to fund more research with a percentage going directly to the research team. The incentives to invent, patent, and bring products to market has never been greater. To make this happen there is collaboration between inventors, business professionals, and venture capital investors. Although this model takes place in the U.S. in some instances it should be considered for greater replication in depressed areas in an effort to increase company formations and jobs. 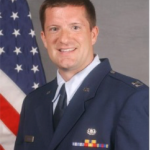 Steven R. Jenkins, JD, LL.M, CPA, MBA: I am employed with Manafort Brothers Incorporated as its General Counsel and Compliance Officer. Through the UConn Law School, I am currently completing an LL.M. in Intellectual Property and Environmental law. My overseas studies thus far include England, Mexico, Brazil, Argentina, China, and Dubai. This trip to Israel is of interest to me as Israel is a meca for political, theological, and business issues. My goal is to compare Israel to the United States and the other countries I have studied in with a focus on business and intellectual property. (what intellectual property rights & protections exist). Our third day in Israel consisted largely of traveling from Jerusalem to Tel Aviv, with a few stops and detours along the way. The day included both visits to common attractions in Israel as well as sojourns to lesser-known areas. 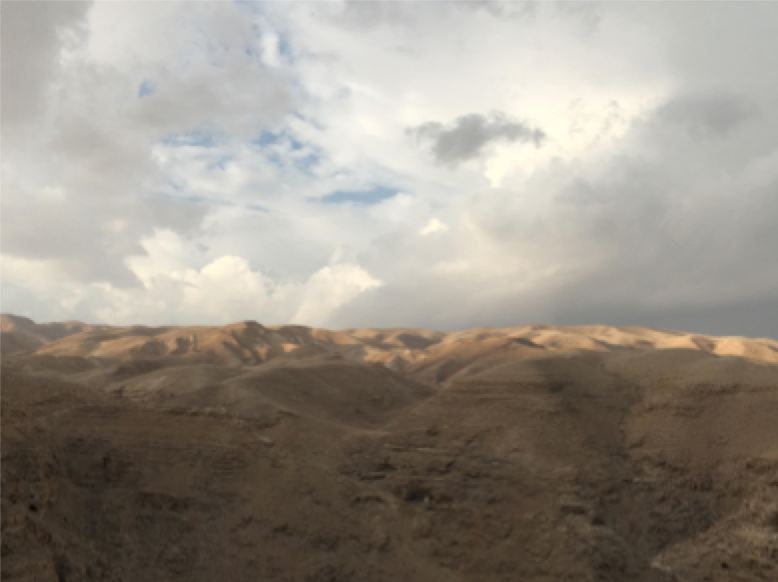 After travelling to the West Bank and driving past the historical site where the Dead Sea Scrolls were found, we began with a brief excursion at Ein Gedi, a nature reserve in the midst of the desert. Although we did not stay long, we hiked through the reserve, visited a small waterfall with an ancient biblical legend associated with it, and were introduced to some of the local wildlife on the hike. 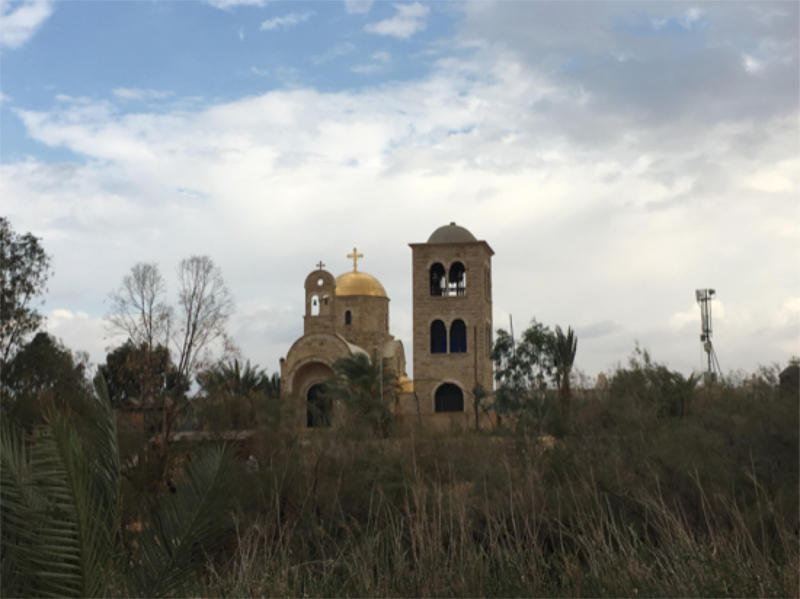 On the way to the Dead Sea, we made a short expedition across the Jordanian border and visited Qasr al-Yahud, a baptism site that is officially considered to be part of Jordan. While the group crossed the fence demarcating the border between Israel and Jordan, we didn’t need our passports because the area in which Qasr al-Yahud is located is surrounded on all sides by guarded fences or bodies of water. Mutual cooperation between the Israeli and Jordanian governments ensures that it is not possible to cross the river on one side and journey further into Jordan. The lowest point on Earth, the Dead Sea, was the next stop. Although the high salt concentration of the sea usually allows visitors to float in relaxation, the waters were unusually choppy on the day the group visited. In keeping with the Israeli reputation for entrepreneurship and innovation, the local community has made use of the chemical properties of the sea and created a thriving cosmetics industry nearby and abroad. 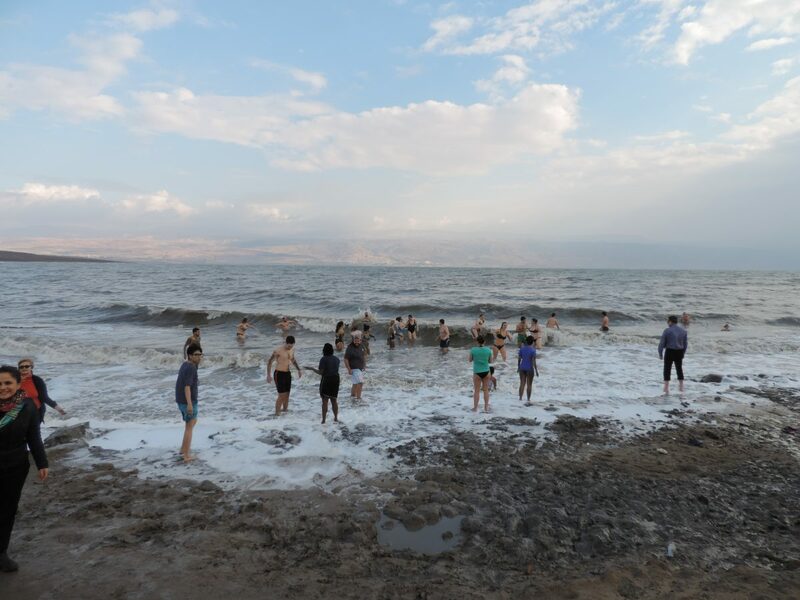 Prior to arriving at the sea itself, the group stopped at a local store that has since turned into a multinational company, Ahava, which sells a variety of products containing the minerals found in the sea. For most group members, though, the natural mud found on the shores of the beach sufficed. During lunch afterwards, some found time for a camel ride, a frequent attraction throughout the area, as seen in the photo below. While clever irrigation techniques have allowed the landscape of much of Israel to become somewhat temperate, the natural aridness of the surrounding region is on full display in the enormous cliffs and sandy desert of the West Bank. 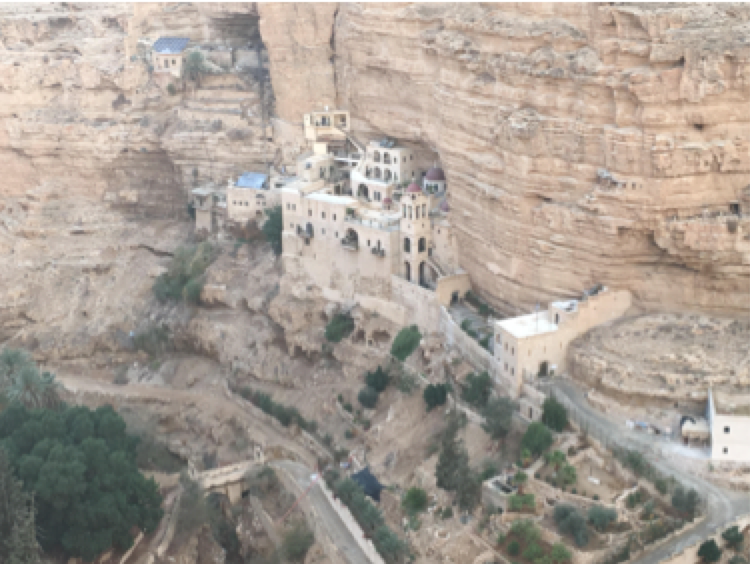 Carved into the rock of one such cliff was the group’s final stop before heading onward to Tel Aviv, St. George’s Monastery, an ancient site inhabited to this day by Orthodox monks. Here, too, the local Bedouins have exhibited an entrepreneurial spirit by setting up a stand at the entrance to a nearby hiking trail to sell local trinkets and sustenance to exhausted tourists. 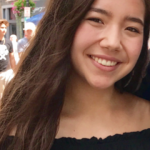 I am a junior Computer Science major in the School of Engineering minoring in Mathematics, English, and International Studies. At UConn, I research election technologies at the Center for Voting Technology Research, and this past summer I interned at Google working on a data protection team. I look forward to learning about entrepreneurship and innovation in the dynamic country of Israel and comparing it to my own experiences so far in the United States. Conveying the level of exuberance that was felt as I opened my hotel curtains on Friday morning may be a tough task. 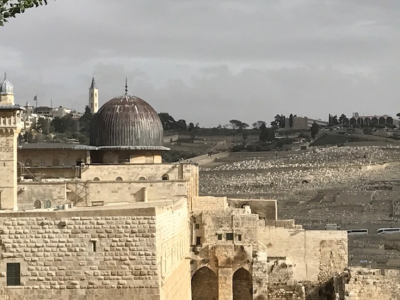 I fear that this remarkable amount of excitement may not resonate with the readers who do not have the pleasure of being faced with this breathtaking view of Jerusalem. Today marks the weekly holiday of Shabbat, where people come together with their loved ones to celebrate their unconditional bond with each other. After enjoying lunch served up from the hospitable staff at the hotel, our group ventured to a spot that holds vast significance for anyone whose heart allows them to evoke empathic emotion. This stop is known as Yad Vashem, a museum that documents the atrocities of the holocaust. Because of the immense devastation that came as a result of the Third Reich, the presence of somber sensations upon the onlookers of such an exhibit is expected. However, what was surprising to me was the sadness that came from observing the bleak expressions on the faces of viewers who appeared to be of Israeli descent. Having a first hand look at the brutal effect that those unthinkable events had on people whose ancestors were likely a part of it provided me with a perspective that enabled me to consider the occurrence in more realistic terms. In this moment, I was not a privileged American student listening to a teacher lecture on some catastrophic event that took place during World War Two; nor was I an insensitive homebody watching some ‘History Channel’ special for the purpose of entertainment. No, this was not the case. In this moment, I was rubbing shoulders with men and women who knew the heartache of visiting a grave sight that was dug because of the inhumane decisions of Adolf Hitler, and felt the raw pain that comes from envisioning a relationship with grandparents that they were never able to meet. As I stood there with my spirits in a downward spiral, all I could do was hope that the people that I was empathizing with somehow understood that I felt for them dearly. Although I was so deeply touched by the sights at Yad Vashem, I had to seek composure as our group was set to meet with the staff that is responsible with running the well-renowned company, “Made In Jerusalem”. Just as a valuable experience was gained just hours before inside of the museum, the same was achieved inside of these walls. The interesting talk helped add to the foundation of my business acumen, showing me new methods to approach opportunities that can lead to financial growth. I am thankful to have been given the chance of sitting in the same room with individuals of that stature, because I have a firm belief that the strategic tools learned from that meeting will one day help me build something substantial in the arena of wealth. Although this day was already one that would not soon be forgotten, it would have felt incomplete without getting in on the holiday festivities. Luckily, thanks to a lovely host family, my group was welcomed to a dinner where not only was the food abundant, but also were the compassion and generosity. The singing of faith-laden songs, drinking of domestic wine, and discussing of the nation’s happenings made me feel as if I was a part of their community. I appreciated their willingness to let a stranger into the their home and treat me as if I was one of their own. Because of that, I will always have a special respect for the people of Israel. Although I am aware that one family cannot represent an entire country, the way that I was treated inside that house combined with the genuine feeling that I received from the people on the street gave me enough evidence to maintain a favorable view of this region long after I land back in America. My name is Jonathan DaCosta, a junior majoring in biology and minoring in economics with the plan to matriculate into a physicians assistant program after earning my Bachelors degree. I hope to get a great understanding on what it takes to become an entrepreneur and how these accelerators innovated their company so quickly. I want to be a well-rounded individual in the business field and in the medical field. Our first full day in Israel was very busy and full of enlightening experiences. After only about 24 hours here, I am amazed at the versatility of the country. There is a huge focus on development of the next big technology and the future, yet as we toured Jerusalem, we experienced over 2000 years of history that brings together people of all backgrounds, ages and experiences. After enjoying a huge breakfast spread at the hotel, we headed to Jerusalem Venture Partners, one of the first successful venture capital firms to be established in Israel. 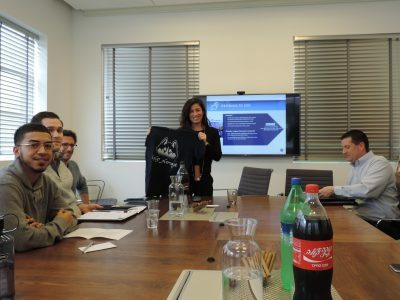 We met with associate, Julia Kagan, who shared with us the reasons for and results of rapid growth of the venture capital industry in Israel. Growth began with government inputs which jumpstarted investments and contributed hugely to a culture of entrepreneurship. This meeting set the stage nicely for our trip because the themes of Entrepreneurship, Technology and Innovation were started and developed by this government funding. I was most intrigued by Julia’s comments about the lack of women entrepreneurs in Israel. It seems that propelling women forward in business is a global problem that we must solve. Our next meeting was with Yessum, a tech transfer office. 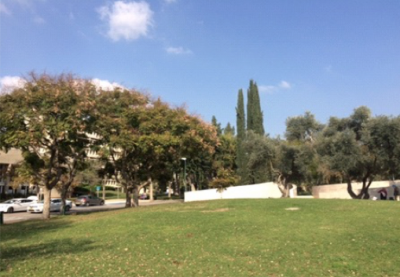 Yissum is a part of the Hebrew University and serves as a bridge between academia and industry. The company helps those in academics to get their ideas to market and also reveals to academics who may not realize that they have a marketable product that they can make money in industry with their findings. Yessum has secured over 10,100 patents, 800+ licenses and 110+ spin-off companies. In our final meeting of the day, we met with the director of the international MBA program at the Hebrew University who provided us with an in-depth overview of entrepreneurship in Israel; what contributed to it, downfalls and benefits. In all of our conversations today, I noticed that each person discussed the mandatory army involvement as a cause for the entrepreneurship culture and success of Israeli young people. Each leader spoke very highly of their personal experiences in the IDF (Israeli Defense Forces). We had the opportunity to tour the Old City today as well. We visited the famous Western Wall (the only part of the second temple still standing ), the Church of the Holy Sepulcher (where Jesus was sentenced and crucified), walked Via Dolorsa (the road Jesus took to be crucified) and climbed the stairs to the Upper Room (where the last supper took place). For me, the most beautiful opportunity was seeing so many women praying at the Western Wall. We all prayed indifferent ways, some touched their faces to the wall, some sat praying, some read the Torah and others simply wrote their prayers on papers placed in the wall’s cracks, but I could feel that there was unity and peace. 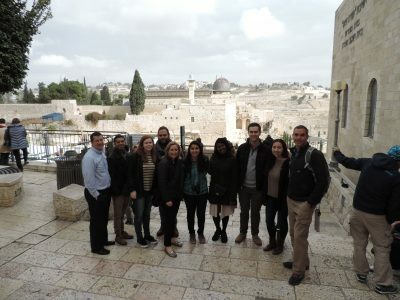 Thank you for following along as our group from CCEI at UConn visit Israel! Check back for new daily blog posts from each of the 8 students on the trip. 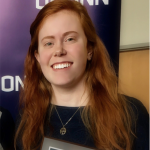 I am an undergraduate senior at UConn in the Honors Program, majoring in Business Management and minoring in Communication. I serve as the president of the UConn Voices of Freedom Gospel Choir and love representing the university as a tour guide. I plan to own my own business and am excited to lean about innovation, startups and Israeli culture. 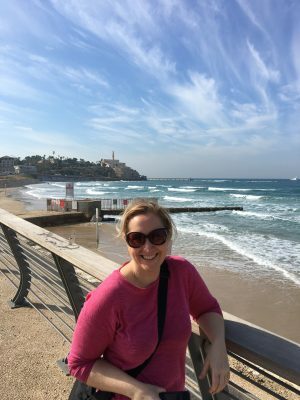 CCEI Managing Director Michelle Cote visiting Jaffa as she prepares for students to arrive to Israel. 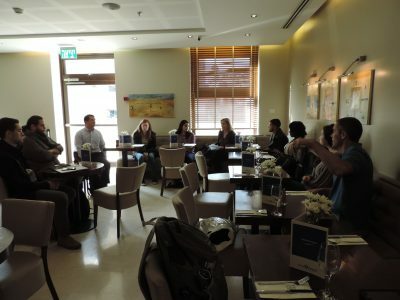 This morning, CCEI’s 8 Winter in Israel students arrived in Tel Aviv to be welcomed by CCEI Managing Director Michelle Cote and adjunct professor and Partner at Hinckley Allen, Daniel Gottfried. 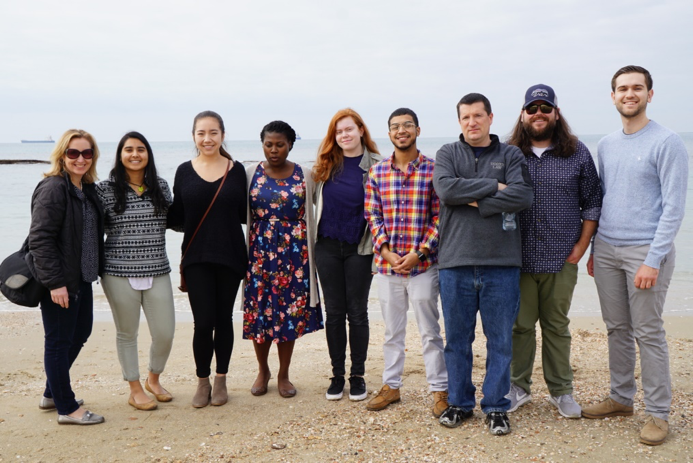 These students will spend the next 10 days traveling through Israel and learning from leaders in technology, business, visiting government offices, large high tech enterprises, venture capital investors, technology accelerators, and academic institutions. In addition our students will be visiting some of Israel’s cultural and historic sites, from the old city of Jerusalem to the Dead Sea. 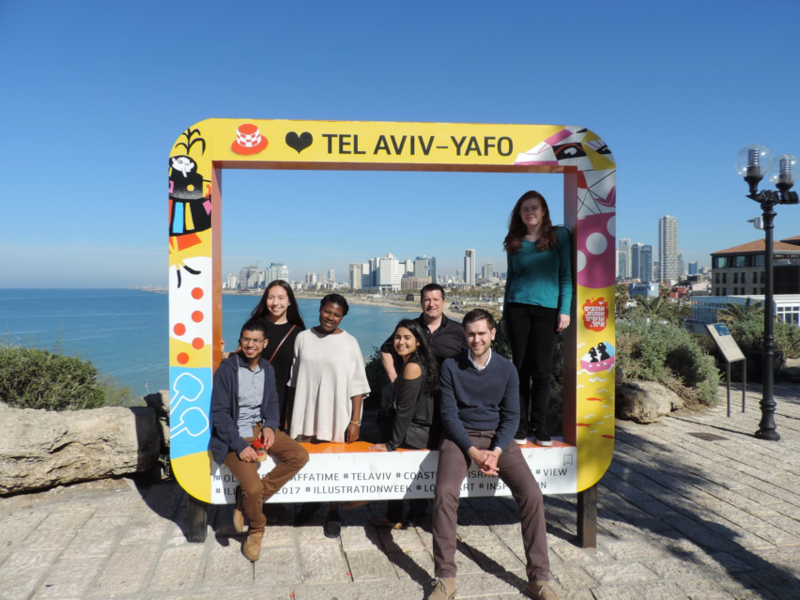 Beginning on Friday, each of our 8 students will be recounting one day of the program through this blog – telling us about the places they’ve visited, what they’ve learned, and their experience so far being immersed in the entrepreneurial culture of Israel. We can’t wait to hear from our students and see their photos over the course of the trip!